Cape Town, South Africa, 15th January 2016 – Wiki Loves Women is an exciting knowledge project that will rollout in four countries across sub-Saharan Africa. A collaboration between WikiAfrica at the Africa Centre and the Goethe-Institut, Wiki Loves Women brings together a Wikipedian in Residence, Wikipedia volunteers, Public Institutions, Civil Society Organisations and Gender Equality groups. Gender inequality is rife across Africa – and although much progress has been made to address these inequalities in the workplace and within society, there remains a systemic bias that disadvantages women by a focus on profiling men, especially with regards to information, news and knowledge, both online and offline. There are significant numbers of notable women who have shaped Africa’s countries and societies, there are innovative business women who help to drive Africa’s many economies (both the formal and informal), and there are everyday realities that women and female children must face due to their gender. These stories need to sit alongside the ones of their male counterparts. Very few of these subjects can be found online, far fewer on the world’s largest knowledge repositories, such as Wikipedia. 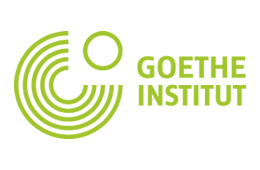 In collaboration with the Goethe-Institut, Wiki Loves Women operates in four countries to encourage the contribution of existing researched and verified information from Public Institutions, Civil Society Organisations and Gender-equality groups to Wikipedia. The donated data and content will specifically focus on women’s contribution to the political, economic, scientific, cultural and heritage landscape, as well as the current socio-political status of women, in each country. In addition, the project will encourage the activation and support of new and existing editors in the focus countries. Coinciding with the launch of Wiki Loves Women is the celebration of 15 years of Wikipedia on the 15th of January 2016. So much has been achieved in the 15 years of Wikipedia’s digital life, but there is still so much that needs to be done. For example, even after 15 years of adding information about all sorts of fascinating subjects, content about Africa in general, and African women in particular, is still limited on the world’s largest source of knowledge.